High-quality mixing desk dust cover for PIONEER Ddj Rb. Available in Microfibre & Polyester. High-quality mixing desk dust cover for PIONEER Ddj Rr. Available in Microfibre & Polyester. High-quality mixing desk dust cover for PIONEER Ddj Rx. Available in Microfibre & Polyester. High-quality mixing desk dust cover for PIONEER Ddj Rz. Available in Microfibre & Polyester. High-quality mixing desk dust cover for PIONEER Ddj Rzx. Available in Microfibre & Polyester. High-quality mixing desk dust cover for PIONEER Ddj Sb 2. Available in Microfibre & Polyester. 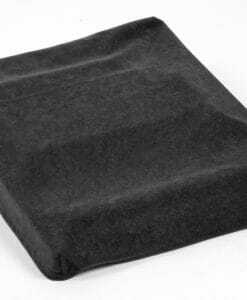 High-quality mixing desk dust cover for PIONEER Ddj Sr. Available in Microfibre & Polyester. High-quality mixing desk dust cover for PIONEER Ddj Sx 2. Available in Microfibre & Polyester. High-quality mixing desk dust cover for PIONEER Ddj Sx. Available in Microfibre & Polyester. High-quality mixing desk dust cover for PIONEER Ddj Sz. Available in Microfibre & Polyester. High-quality mixing desk dust cover for PIONEER Ddj Wego 3. Available in Microfibre & Polyester. High-quality mixing desk dust cover for PIONEER Ddj Wego 4. Available in Microfibre & Polyester. High-quality mixing desk dust cover for PIONEER Djm 1000. Available in Microfibre & Polyester. High-quality mixing desk dust cover for PIONEER Djm 2000. Available in Microfibre & Polyester. High-quality mixing desk dust cover for PIONEER Djm 2000 Nxs. Available in Microfibre & Polyester. High-quality mixing desk dust cover for PIONEER Djm 250 K. Available in Microfibre & Polyester. High-quality mixing desk dust cover for PIONEER Djm 250 Mk 2. Available in Microfibre & Polyester. High-quality mixing desk dust cover for PIONEER Djm 300. Available in Microfibre & Polyester. High-quality mixing desk dust cover for PIONEER Djm 300 S. Available in Microfibre & Polyester. High-quality mixing desk dust cover for PIONEER Djm 3000. Available in Microfibre & Polyester. High-quality mixing desk dust cover for PIONEER Djm 350. Available in Microfibre & Polyester. High-quality mixing desk dust cover for PIONEER Djm 400. Available in Microfibre & Polyester. High-quality mixing desk dust cover for PIONEER Djm 450. Available in Microfibre & Polyester. High-quality mixing desk dust cover for PIONEER Djm 500. Available in Microfibre & Polyester. High-quality mixing desk dust cover for PIONEER Djm 5000. Available in Microfibre & Polyester. High-quality mixing desk dust cover for PIONEER Djm 600. Available in Microfibre & Polyester. High-quality mixing desk dust cover for PIONEER Djm 700. Available in Microfibre & Polyester. 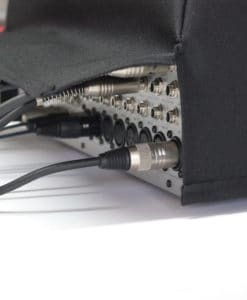 High-quality mixing desk dust cover for PIONEER Djm 700 S. Available in Microfibre & Polyester. High-quality mixing desk dust cover for PIONEER Djm 707. Available in Microfibre & Polyester. High-quality mixing desk dust cover for PIONEER Djm 750 K. Available in Microfibre & Polyester. High-quality mixing desk dust cover for PIONEER Djm 800. Available in Microfibre & Polyester. High-quality mixing desk dust cover for PIONEER Djm 850 K. Available in Microfibre & Polyester.